12 month membership of the Campaign for Real Ale. Give the gift of CAMRA Membership to the beer or pub lover in your life! And while they’re out enjoying great beer and pubs, your gift will be helping us to protect the great British pub and everything that goes with it. This membership pack comes complete with all the information needed to activate a CAMRA Gift Membership. 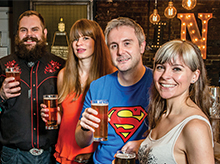 Once activated, you will receive the latest edition of What’s Brewing and BEER magazine for the next publication month. Single and joint memberships are available to choose from, but please note that joint concessions are only available when both members are eligible for that concessionary rate (e.g. both under 26). We aim to deliver Gift Membership packs within an estimated time of 3-5 working days. If you would like this gift membership and any merchandise sent directly to the recipient, please enter their address in the Delivery Address fields during checkout as directed. Recipient personal details are not required until the point of activation. All items in this order will go to the same delivery address. 12 month membership of the Campaign for Real Ale. We aim to deliver Gift Membership packs within an estimated time of 3-5 working days. 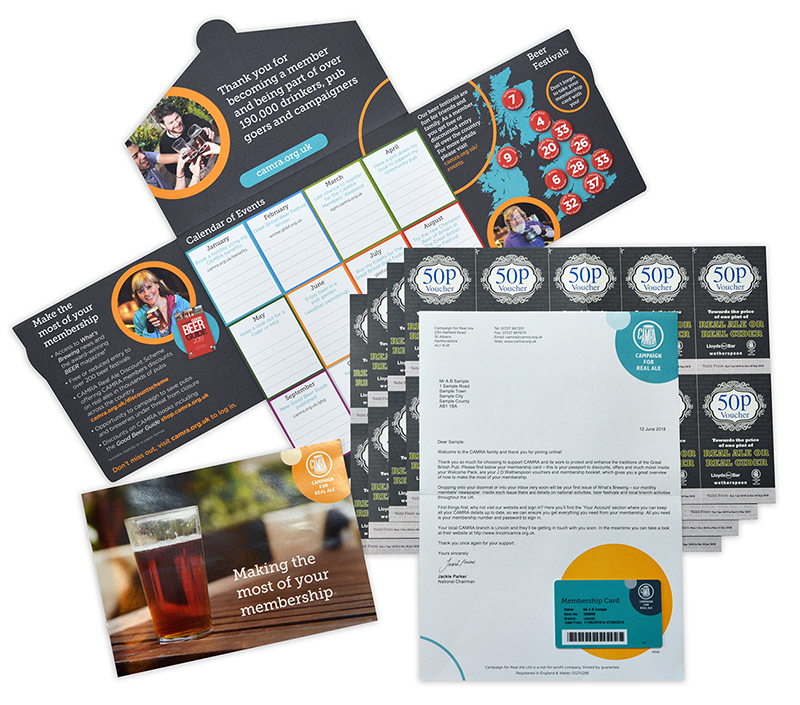 This membership pack comes complete with all the information needed to activate a CAMRA Gift Membership. 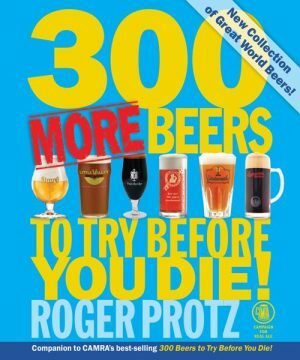 Once activated, you will receive the latest edition of What’s Brewing and Beer magazine at the end of that month. Single and joint memberships are available to choose from, but please note that joint concessions are only available when both members are eligible for that concessionary rate (e.g. both under 26). Simply select the membership type you want and we’ll send out your pack and any additional items. If you would like this gift membership sent directly to the recipient please enter their address in the Delivery Address fields during checkout. You can include a gift message using the field provided. The recipient then goes online to activate their Gift Membership at www.camra.org.uk/activate or call our membership team on 0845 07 27 807. Gift membership must be activated within 12 months from the point of purchase. After this 12 month period has passed the membership will become void. No refund will be given. Joint memberships are only available to two members who share the same address. Joint concessions are only available when both members are eligible for the U26 concessionary rate. Gift Memberships are only available for residents of the UK & Channel Islands. All membership prices are based upon standard full single membership rates. Please contact 01727 337855 for under 26 concessionary rates. Occasional Membership and Book Offers are only open to new members and not renewals. Joint membership upgrade offers Joint CAMRA membership benefits only including *joint members receive £20 worth of real ale vouchers to share and one book if part of a bundle offer. If you require the gift to arrive earlier we would advise you call our Membership Services Team on 01727 337855. 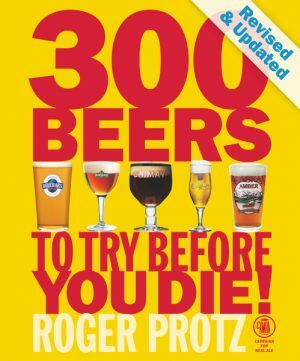 The perfect gift for the beer or pub lover in your life! 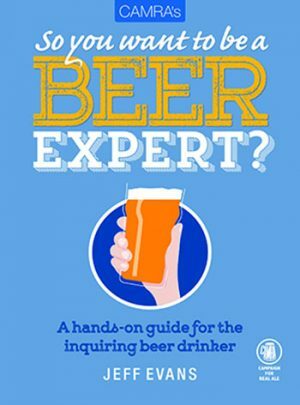 So You Want to Be a Beer Expert?